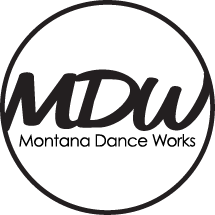 Our seventh annual dance recitals will be held on Tuesday May 21st, Wednesday May 22nd, and Thursday May 23rd at the Mother Lode Theater at 7:00 PM. Dress rehearsals will be held on Sunday, May 19th and Monday, May 20th. PICTURES WILL BE HELD THE WEEK OF APRIL 29TH - MAY 2ND DURING REGULAR CLASS TIMES! You should have received an email and handout with the recital information packet including information on tickets, dress rehearsal, and recital.